Don’t settle for drive-through — hopping out of the car to pick up your meal doesn’t have to be a long commitment. Come in to WrapZone and see how a quick-service restaurant serves up healthy and delicious meals and quick bites all day long! Are you tired of the same fast food options everywhere you go? While burgers, fries and chicken sandwiches may seem like the easiest option, they certainly aren’t great for your health. Eating unhealthy fast food on a regular basis can lead to weight gain and a lethargic attitude. If you want fast food that’s good for you, come to WrapZone. 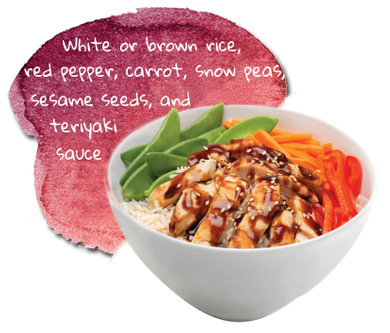 You’ll find delicious, healthy food at our locations in Kelowna, Vernon and North Vancouver. Maybe you want a lifestyle change, or you’re finally ready to eat more healthy greens. 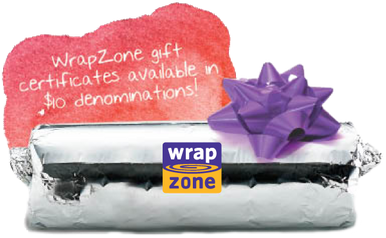 Whatever the reason you choose WrapZone, we know you won’t be disappointed. 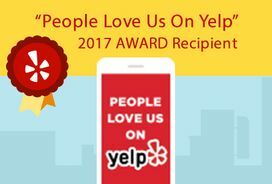 We have options for everyone in your family, from people on the gluten-friendly diet to vegetarians. When you’re in a rush and need food fast, but you don’t want the typical generic burger, you can always get healthy food in Vernon, Kelowna or North Vancouver at WrapZone. Just because our food is healthy doesn’t mean it lacks in the flavour department. Our menu is full of delicious options that boast cultural and ethnic flavours including Greek and Thai. Each of our wraps, bowls and salads are healthy and full of flavour, the perfect meal for on-the-go or to sit down and enjoy. We also offer several custom made veggie mixes and sauces that are delicious and full of real ingredients. We always use fresh ingredients and are proud to say that we don’t fry any of our food. All of our ingredients are real, from the cheese to the meats, so there are no artificial flavours or preservatives. When you want healthy food in North Vancouver while you’re on the go, don’t resign yourself to going through a drive-through. For explosive flavour, wholesome ingredients and overall healthy food options, choose WrapZone as your go-to fast food restaurant. Hungry for something healthy and delicious but don’t have the time to cook? 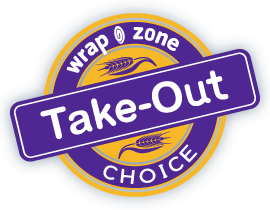 WrapZone offers healthy options on our take out menu. Our wraps, rice bowls, salads and smoothies are made-to-order from fresh, quality ingredients. Enjoy a healthy and yummy meal. Our two Kelowna locations as well as our Vernon location have new hours. Come see us seven days a week for breakfast, lunch or dinner! Just because food is fast doesn't mean it can't be good for you. See our healthy take out options. We have tortillas, unwraps, salads and other options for those on the gluten-friendly diet.